The idea for a New Homes Ombudsman is not new. I have been campaigning for nearly two years, see this blog, my website forum, the “Unhappy New Home Buyers” Facebook Group and lobbying on Twitter. More recently I attended the APPG Inquiry into the “Quality of New Build Housing in England” and proposed the introduction of a fully independent New Homes Ombudsman as one of a series of measures that would force house builders to improve both quality of the homes they build and the service they give their customers after they discover the inevitable defects and problems. The New Homes Ombudsman service could be funded by a levy of £100 for every home built by each house builder. (120,000 new homes would raise £12million a year.) In addition, house builders would pay £500 towards the cost of investigating each claim made against them. This would encourage house builders to be more proactive in resolving and dealing with defects and complaints. 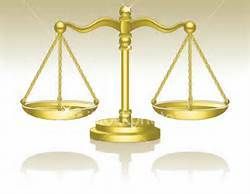 Be 100% independent, able to rule on the facts of each case without fear or favour. Be able to set timescales for responses from house builders and warranty providers. Provide a simplified dispute resolution scheme for consumers with minimal effort on their part and little or no need for legal representation. any loss in property value as a result of the misdescription, misinformation, or works carried out (or not carried out) to the property. Require house builders and/or new home warranty providers to pay buyers justifiable compensation awards and possibly fine or impose sanctions to the worst or persistent offenders. Certainly higher amounts than the paltry £250 maximum permitted in the industry’s own Consumer Code. Bring the adjudication process regarding the rectification of building defects, warranty disputes and breaches of existing consumer law, all together under one roof. Require house builders and/or warranty providers to take note of the Ombudsman’s findings and any recommendations to prevent similar claims. Encourage house builders to be more proactive in disputes by offering compensation to avoid referral to the Ombudsman. Improve quality by forcing the industry to look inwards at what it does and the way it operates. The very existence of an official, totally independent New Homes Ombudsman giving all new homebuyers an easy straightforward means of making a formal complaint and claiming compensation, would be sufficient to force a change of attitude amongst house builders. This should lead to improvements in both the quality of the new homes they build and their response when buyers report problems in their new homes, as they seek to avoid the costs of associated with a claim. Require house builders and warranty providers to inform consumers of their right to refer their complaint to the New Homes Ombudsman in any dispute. Be able to obtain specialist independent reports or advice on technical matters from third parties without connection to the house builder and/or warranty provider. 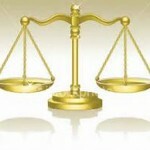 Make its rulings public to establish a precedence and case history for dealing with similar claims. Publish reports and statistics on the nature of claims and the performance of house builders, showing just how well (or badly) individual house builders and warranty providers deal with complaints. The data collected by the Ombudsman would be able to give consumers a clear idea of which house builders really do treat complaints seriously and those that would rather obstruct the process in the hope that their homebuyers give up and drop their complaint. Order works, investigations to be carried out using authorised, vetted and approved contractors where the house builder has failed to remedy a defect or problem. However, despite the obvious need and the benefits that a New Homes Ombudsman would give consumers, many, especially those within the industry, will maintain that a fully independent New Homes Ombudsman is not necessary. Their lobbyists, the Home Builders Federation (HBF) will claim “the overall quality of new homes has never been higher than it is today” stating that “the overwhelming majority of people are happy with their new homes. In the small number of cases where buyers encounter problems the industry is fully committed to completing them as soon as practically possible.” The industry will then support this with statistics from its own ‘customer satisfaction survey’ which uses carefully crafted questions sent to some home buyers just six weeks after moving in. Only 54% of the surveys sent out are returned and these represent less than a third of the total number of new homes built. In addition, some house builders cajole, bully, badger or even try to bribe homebuyers in an attempt to improve their scores. 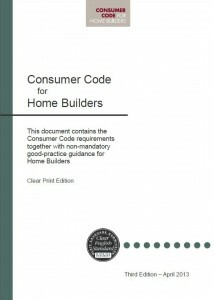 There is a widespread misconception that the “Consumer Code for Home Builders gives protection and rights to purchasers of new homes, ensuring that all new homebuyers are treated fairly and are fully informed about their purchase before and after they sign the contract” Indeed the Code’s website states exactly this! This statement was even exactly quoted in a copy of a letter I received sent by Eric Pickles MP at the DGLC to Sir George Young MP. The only perceived peace of mind protection purportedly offered by the Code might be the “Dispute Resolution Scheme”. However, the procedure in fact offers little or no actual “protection” for new homebuyers. It is little more than a simplified arbitration procedure that unfairly and unreasonably limits the time available for homebuyers to respond to the house builder’s defence; that prevents buyers from recovering legal costs in disputes which, if they had been pursued through the courts, may have been recoverable from the builder and thereby deters homebuyers from seeking legal advice. Legal advice that the OFT (in their Homebuilding Market Study 2008) made clear was essential in most cases, due to legal and procedural complexity. It results in private awards being made meaning no legal precedents are set that could be of potential value to future claimants raising similar issues – unlike court decisions are made public and help to establish legal precedents and case law. The Consumer Code Adjudication Scheme (CCAS) has a very low maximum financial limit of £15,000 which was one of the main reasons that the OFT refused to accept it as an Approved Code (the OFT requiring a £150,000 limit). A more serious practice used by house builders is to make it a term in their ‘contract of sale’ that any construction dispute (regardless of value) must be referred to the Code Adjudication Scheme, in doing so preventing homebuyers from taking legal action in the courts. Consequently, homebuyers now routinely find they have no legal remedy whatsoever for serious, high value or complex disputes. Before the Code was introduced, homebuyers faced no such barrier. Thus, far from the Code “ensuring that all new home buyers are treated fairly”, it is now being routinely employed by the industry to severely curtail the rights of homebuyers compared with what OFT identified was already an unacceptable state of affairs before the Code was introduced. It is also worth noting, the negligible number of homebuyers who have actually used the Dispute Resolution Scheme since it was introduced in April 2010. Even more so, the few that have succeeded with their claims! The 2014 Consumer Code Annual Report and case summaries to June 2015 confirm that just 104 people referred their claim to IDRS (who administer the CCAS) in the first 5 years it has been operating. Of those 104, just four succeeded on their claims in full, and 54 claimants succeeded “in part” (14 of these being the first six months of 2015). Out of a total of £720,821 claimed to June 2015, just £139,725 was awarded to new homebuyers using the IRDS (19.3%) These statistics illustrate what OFT identified was the pressing need for homeowners to have proper legal advice on such claims, yet the CCAS deters claimants from obtaining advice by refusing to award legal costs on successful claims, even if costs would have been awarded if the same claim had been taken to court. The existence of the Code is being used by the industry to restrict the already inadequate legal rights consumers have when buying a new home. Furthermore, at the current time the Code and the IRDS has not been approved or registered with the Chartered Trading Standards Institute (CTSI) as per the requirements of EU Directive 2013/11/EU on Alternative Dispute Resolution (ADR). The CTSI state: “Codes will be approved only if they can robustly demonstrate a potential reduction in consumer detriment. 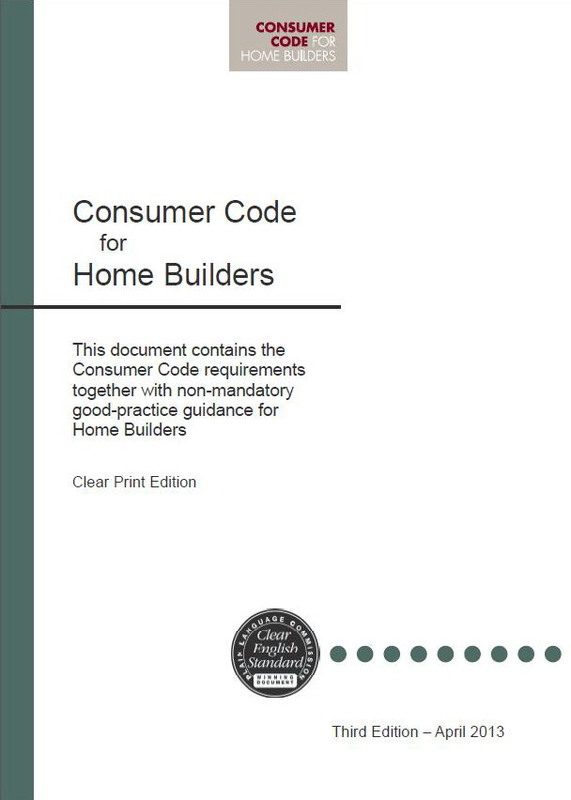 Codes approval is intended to be a rigorous and intensive process for code sponsors.” The Consumer Code for Home Builders is currently in the ‘consultation’ stage of being revised, with the changes to the Code implemented in 2017. Problems with any workmanship, materials or appliances that you have brought or added to the property. Damage caused by storms or, accidentally, by negligence, abuse or poor maintenance of the property or appliances. This includes blockages caused by inappropriate disposal of waste. Any cosmetic defects such as scratches, chips or marks that have not been reported within seven days of legal completion. This includes decoration, flooring, tiling, textured ceilings, kitchen units, fitted bedroom and bathroom furniture, worktops, sinks, sanitary ware, appliances, glass, and other similar items. Outside of this time frame, it maybe difficult to prove how the damage was caused. Any problems caused by natural shrinkage or condensation. Any inconvenience, distress, consequential loss of enjoyment, or income loss caused by remedial works, assuming all reasonable steps have been taken to minimise disruption. As the majority of new homebuyers soon discover after a few weeks that house builders and their staff show little interest in dealing with their complaints, especially when any remedial works are likely to be expensive or time consuming. In years 3 to 10 the warranty is an insurance policy providing cover against the cost of putting right any physical damage to specified parts of the home, caused by structural defects and other defects including rendering, roof coverings, double glazing and underground drainage, resulting from failure to comply with warranty standards. As with most insurance policies, the new home warranty does not pay any compensation for the distress, inconvenience or financial losses caused before and during building works to rectify damage and defects. The NHBC, like most warranty providers, have a minimum claim value. If the cost of a claim does not exceed the minimum claim value, the NHBC will not do any work or pay any costs. It has been known for several similar items in a particular claim to be separated, so that none reach the minimum claim value. For example: lintels failing over windows, each lintel being considered a separate claim. The minimum claim value is £1,550 in 2017 rising £50 for each year of the policy. The typical wearing down actions of a loss adjuster approach by warranty providers working with builders does not give adequate protection. Whilst the NHBC publish post repair survey feedback (87-90% rated it as good or excellent) it does not offer statistics on the number of claims it refuses. Furthermore successful claims are often subject to a confidentiality agreement. New homebuyers need to have confidence when trying to get poor workmanship and defects caused by house builders rectified that, when all else has failed, they will have independent help from an Ombudsman. As it stands, house builders are showing no intention of taking proactive measures to improve the quality of the new homes they build. Consumers need a fully independent means of redress. The government is currently reviewing the need for more impartial ombudsmen. It is now essential to appoint an New Homes Ombudsman for the house building industry. This entry was posted in New Homes and tagged APPG Inquiry Into Quality of New Homes, Consumer Code for Home Builders, customer care, HBF, new home warranty, new homes ombudsman, NHBC, quality, snagging, standards. Bookmark the permalink.